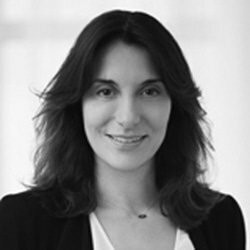 Joanna Christoforou focuses her practice on competition law and antitrust. Joanna has experience representing clients in EU and UK competition matters before the European Commission, the European Court, the Competition and Markets Authority, the Financial Conduct Authority, the Competition Appeal Tribunal and antitrust authorities in other jurisdictions. She defends clients in relation to investigations, competition disputes, cartels, dawn raids, dominance, pricing, discounts, promotions, parallel trade and refusals to supply. Joanna is admitted to practise in England and Wales only. Joanna also acts in relation to mergers, acquisitions, restructurings, and joint ventures, and provides advice in the application of competition law to a wide range of commercial agreements and practices. Joanna works across a broad range of industries, including retail, grocery, financial services, commodities and healthcare.